Bright morning sun rising over the rocky cliffs of Mount Athos, and getting reflected into the calm waters of the Aegean Sea. Some sparse clouds above it. Mount Athos, known in Greece as the Holy Mountain (Άγιον Όρος), is a peninsula in Halkidiki, North Greece containing 20 monasteries. 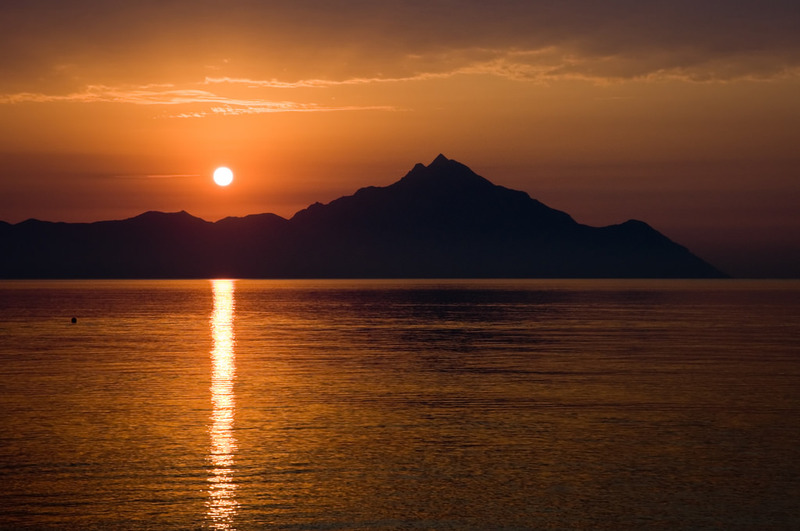 Although the peninsula of Mount Athos is part of Greece, it enjoys certain autonomy. The region is governed by the “Holy community” under the ecumenical Patriarch of Constantinople. Only men are permitted to enter Mount Athos. The rule, known as the “ABATON”, forbids access to Mount Athos by any female and is enforced by law. 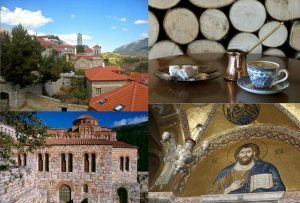 In accordance with the procedures established by the Holy Community foreigners must obtain a written permit to visit Mount Athos from the “Mount Athos Office”. Thessaloniki Arrival at Makedonia Airport in Thessaloniki. 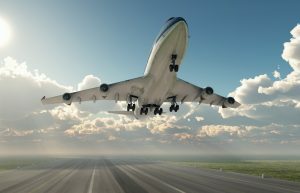 Meet with your driver and guide and transfer to your Hotel. Check In and lunch on your own in one of the innumerus restaurants around the hotel. 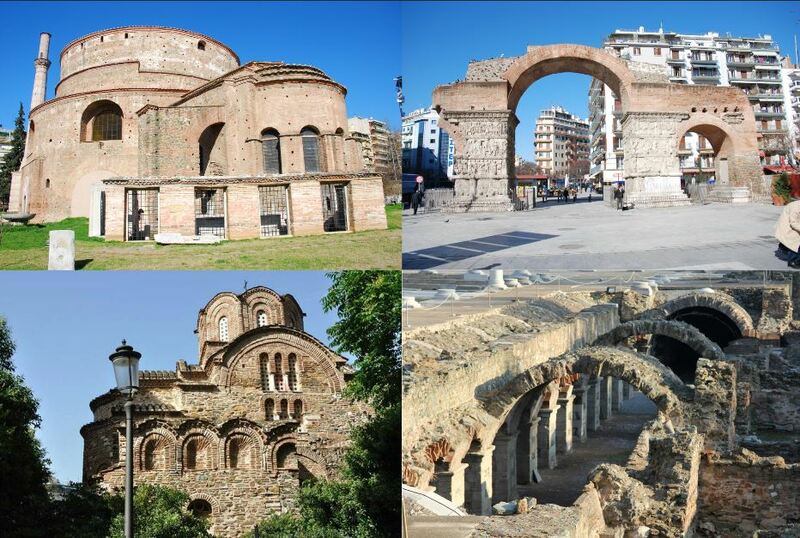 Afternoon Walking Tour around the city of Thessaloniki and Visit to some of the numerous Byzantine Churches. Visit Rotonda – Church Of Agios Georgios ,The Foro Romano, The Arch of Galerius, the church of Agia Sofia and the church of Agios Panteleimon (Unesco Herittage). Return to the Hotel. Free time before Pray and Dinner at the hotel. Overnight. A Private Mass can be arranged before dinner! Breakfast. Departure for Kavala, the ancient (Neapolis) at the port of Kavala where St. Paul arrived, in order to visit Philippi that it was built along the old egnatia Avenue towards Rome and Costantinople. Visit Philippi and near by the village of Lydia where the first European was baptised under the name of Lydia. There, by the river, a mass will take place by the priest who will accompany the group. 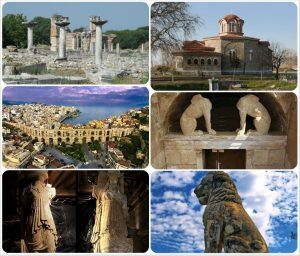 Arrival at the port of Kavala, free time for lunch and visit to the monument of St. Paul, short pray and departure for a visit of Amphipolis (Lion of Amphipolis). Arrive in Chalkidiki area – Ouranoupoli. Dinner & overnight at hotel. 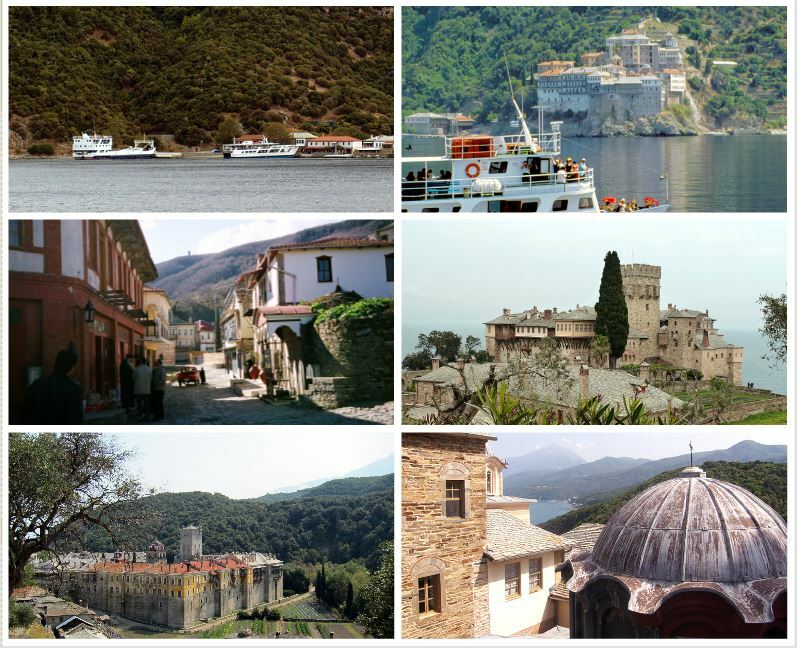 MEN enter Mount Athos and enjoy of a Full day tour to 6-7 Monasteries. Overnight in one of the monasteries there. WOMEN tour by bus accompanied by our guide the Monasteries of the area and Visit Stagira the birth place of Aristoteles. 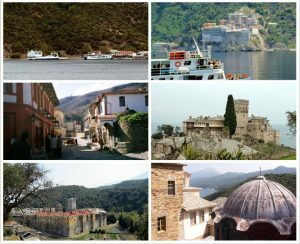 OR They Can take the Cruise around Athos Monasteries. Dinner & Overnight at the hotel. Breakfast. 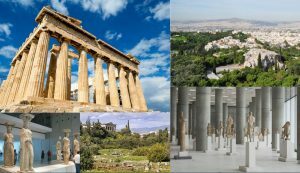 Meet with the men of the group and all together return to Thessaloniki. 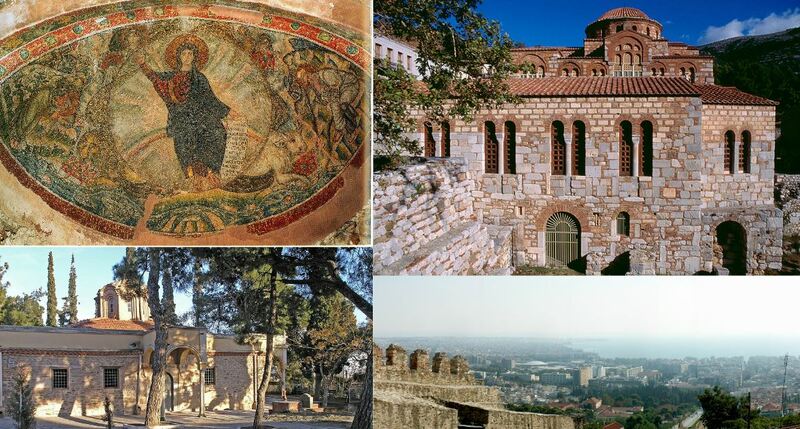 On the way back, visit the upper city, the Monastery Vlattadon, the house where St. Paul spent his night during his visit in Thessaloniki, the byzantine castles and the church of Osios David with the unique mosaic of Christ without beard. Dinner & overnight at hotel in Thessaloniki. Breakfast. Today we will visit the Chalkeon church and the church of Acheiropoihtos then we will proceed to Agios Demetrios church, patron of the city and later we will visit the place where he died at the catacomb where we can see the traces of the ancient Egnatia street. We will pray on the spot and depart towards Aristoteles square for a quick lunch. 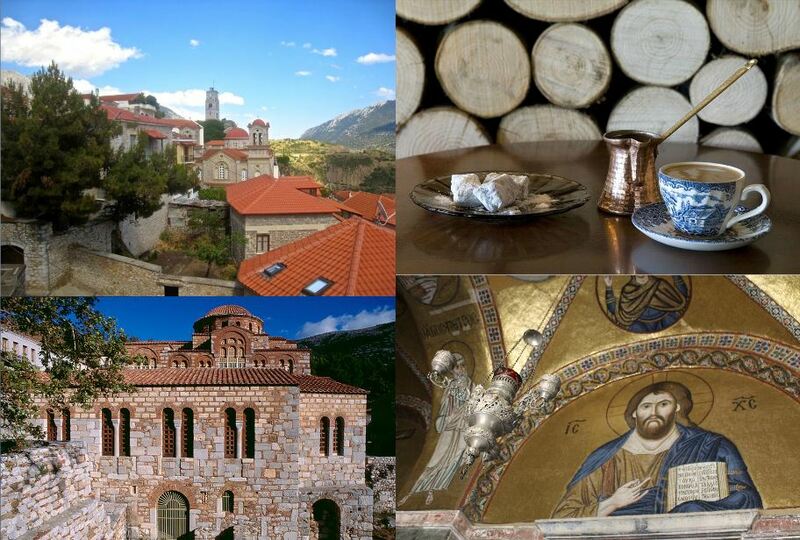 Then we will walk and visit the church of Panagia Chalkeon and from there we will depart towards Veroia. Arrival at Veroia in about 45 minutes. Check in at the hotel. Around 18:00 hours we will visit the St. Paul bema, from where he preached to the Veroians during his visit in the area. 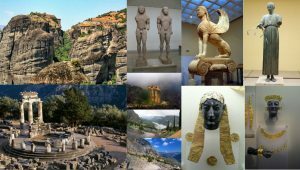 We will follow the traces of the ancient Roman road Egnatia connecting Thessaloniki with Constantinople during the Roman / Byzantine period. Return to the hotel, dinner & overnight. Breakfast. Departure from the hotel on foot, we will stroll around the old Jewish area of the city, the famous Marpouta and the most important Byzantine churches in the center of the old city (we also have the people who can open some of them that they will be closed as they do not use them for the every day mass but only when the name day of each saint is celebrated). 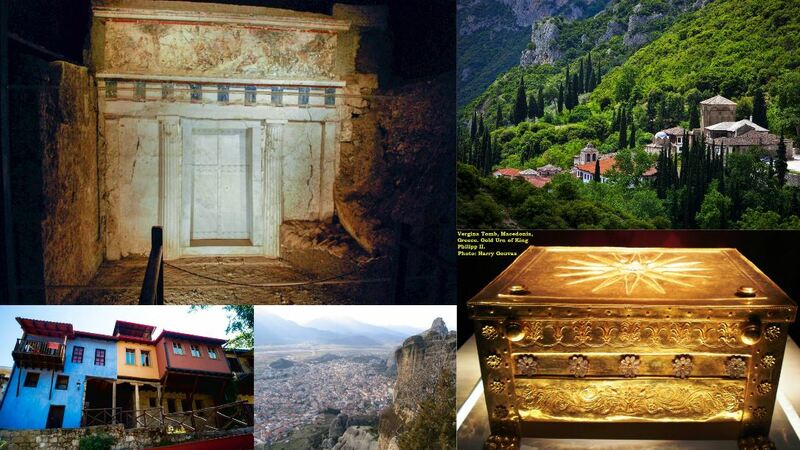 We will depart from Veroia to visit the Monastery of Timios Prodromos on our way to Vergina Royal Tombs. 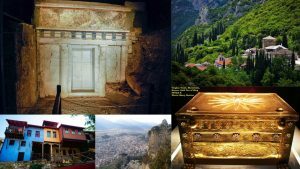 Then we will have free time for lunch in Vergina and we will visit the Tomb of Philip the 2nd, the father of Alexander the Great. Later we will proceed to Kalambaka (Meteora). Arrival at the hotel, check in, dinner and overnight. Breakfast. Departure from the hotel and visit to 3 different Monasteries and the wonderful old Cathedral which someone will open for us, in order to see the Katholikon and the Amvon which is unique. Free time for lunch on the way and departure to Delphi. Arrival in Delphi. Dinner & overnight at the hotel. Breakfast. 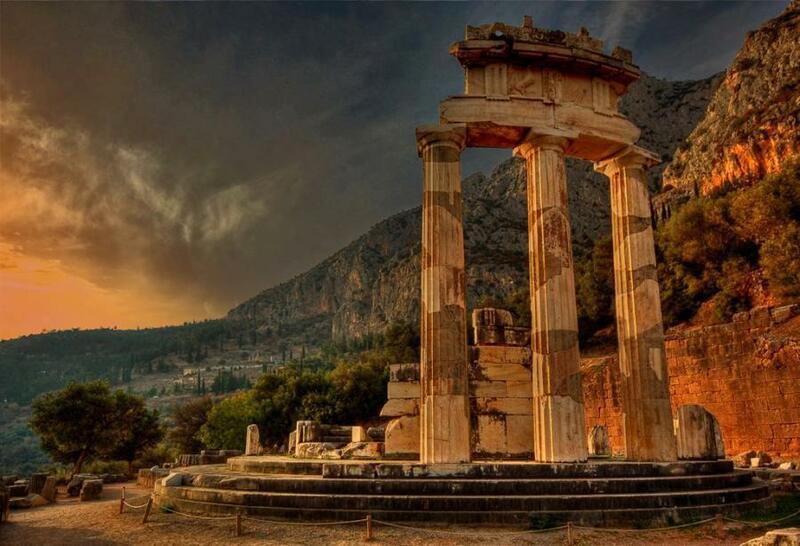 Departure to visit the Monastery of Prophet Elias close to Delphi and see the wonderful temple of the church. Drink a Greek coffee with fresh water and taste a loukoumi with the nuns. 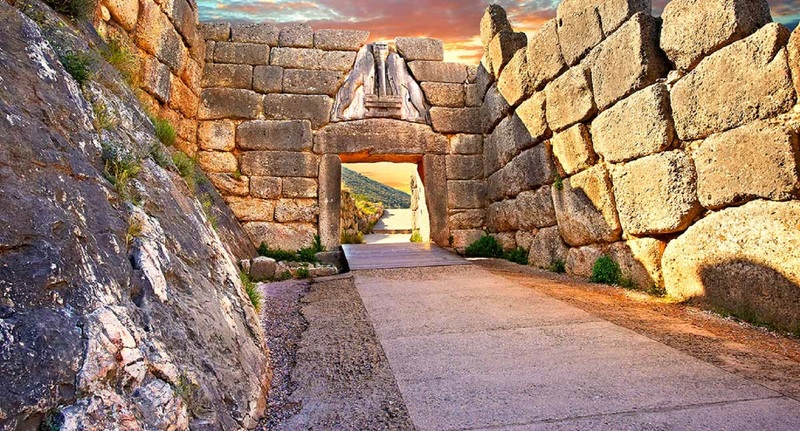 Departure for the visit of Delphi, archeological site and museum. Free time for lunch and visit the monastery of Osios Lucas on the way to Athens. The monastery of Osios Lucas is famous for its mosaics which are considered to be of a better quality than the ones in Ravena in Italy. We arrive in Athens passing by Thiva, the place where the Evangelist Luke lived and died. Check in at the hotel in Athens & overnight. Breakfast. 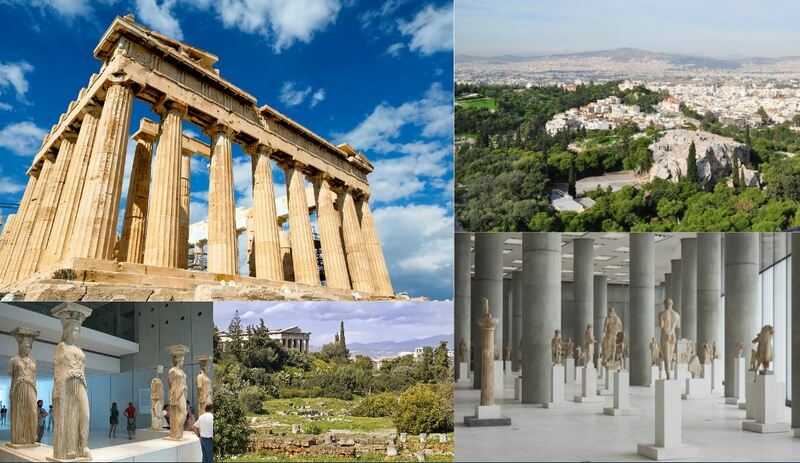 Full day tour of Athens with visit of the Acropolis and the Ancient Agora of Athens visit to the Agioi Apostoloi church, and Areos Pagos, where St. Paul preached to the Athenians (we will pray there), then visit to the new Acropolis Museum. Free time in Plaka to stroll around and have lunch on our own. Afternoon departure to visit Cape Sounion. On the way back to Athens we will stop for a visit to Phaleron old port, the place where St. Paul arrived on his way to Areos Pagos. On the way back to the hotel we will get off the bus at a certain point and we will walk up to Phaleron street on the steps of St. Paul on his way to the Acropolis (a short walk or longer depending on the clients’ needs). We will arrive at the hotel. Dinner & overnight. Breakfast. 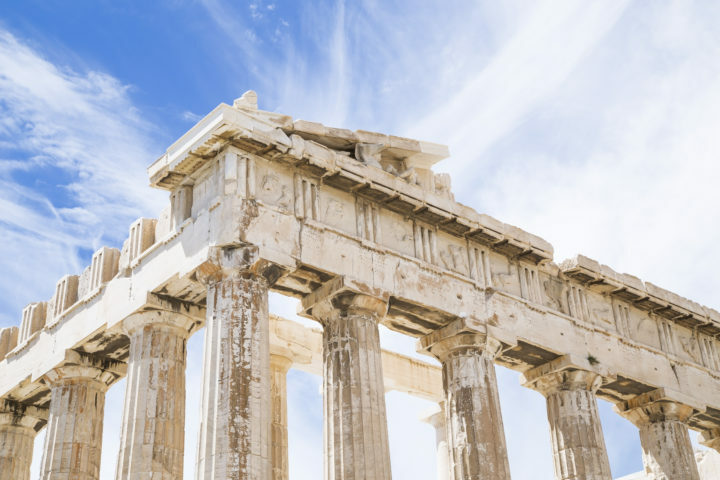 We will depart for a full day tour to Corinth and to Kehries port, we will have enough time to pray on the spot in both places. Then we will stop at Ancient Corinth, archeological site for the gospel at St. paul bema. 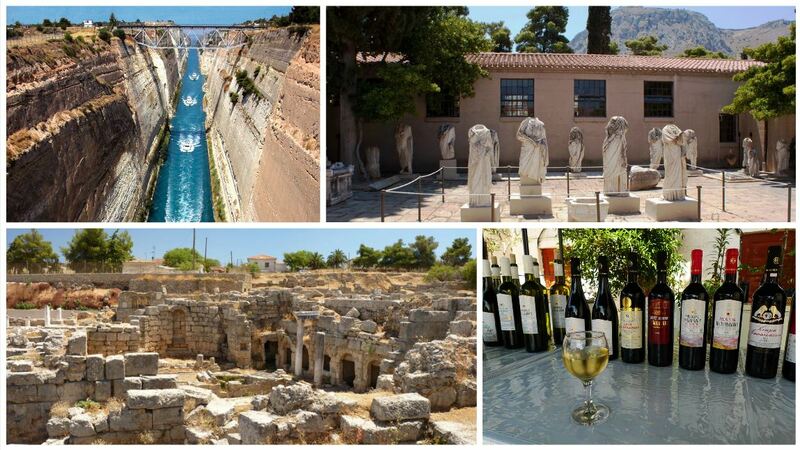 Free time for lunch, then a quick stop to admire the breathtaking view of the Corinth Canal and stop at a winery for wine tasting. Arrival at the hotel, dinner & overnight. Breakfast in the hotel and tour of the Byzantine Athens. Morning visit of the Byzantine Museum with its amazing icons and fragments from various orthodox churches. After the visit we depart for a visit to the Monastery of Kessariani (11th century), a real sample of Classical architecture of the byzantine period monasteries. 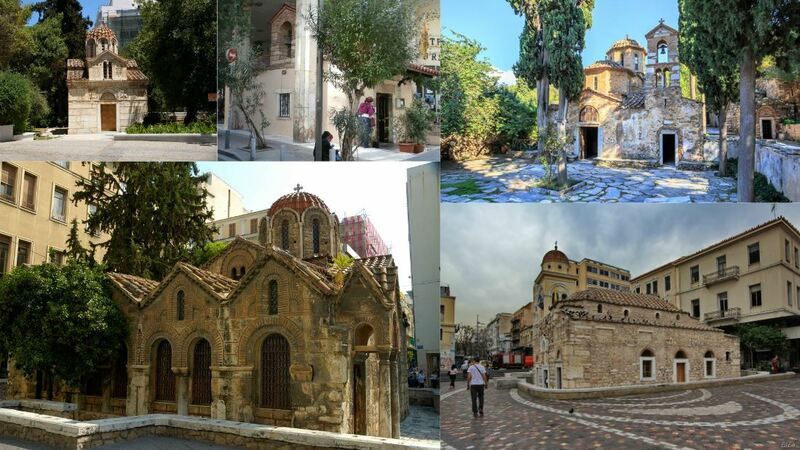 Then we depart to the old neighborhood of Athens – Plaka and we will visit some of the most important churches of the same period such as Agia Dynamis (Mitropoleos str. ), the church of Agios Eleftherios (Mitropoleos Str. ), the church of Kapnikarea (Ermou str.) , Pantanassa (monastiraki), Agios Ioannis (Evripidou), Agios Nikolaos Ragavas (Plaka), Agia Sotira Kottaki (Plaka ), Agia Ekaterini (Plaka). We will retun to the hotel for dinner and overnight. Breakfast in the hotel and Transfer to the airport for departure.